Late last night, Chromecast cast added another mega-streaming service to their minuscule lineup that up until today, had not changed since launch. 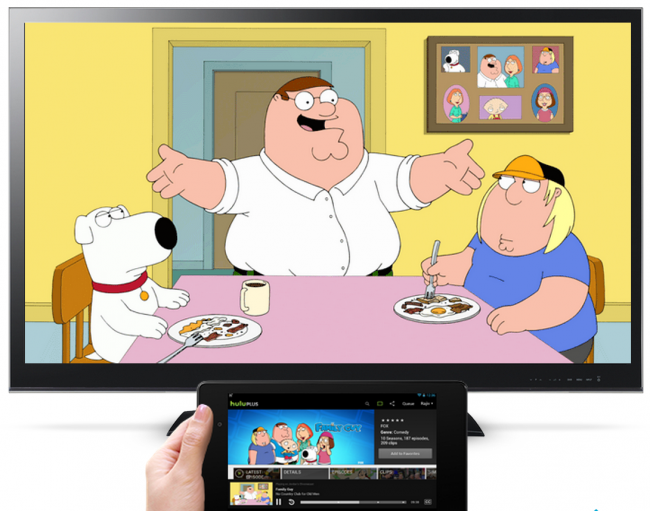 Hulu Plus is now officially Chromecast-supported on Android (iOS version coming soon). The update is already live through Google Play, so if you are a Hulu Plus subscriber, you’ll want to grab the newest build and begin casting. If you aren’t a subscriber, Hulu will give you a free trial to help you decide if $7.99 per month with “limited advertising” is worth it. The cast button should show up automatically at the top of the application (on both phones and tablets) if you have Chromecasts setup in your house.